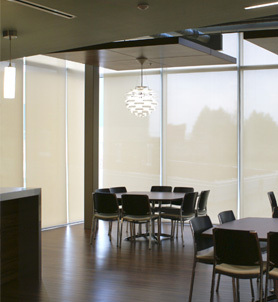 Dual shades are a perfect solution to control light for any needs. 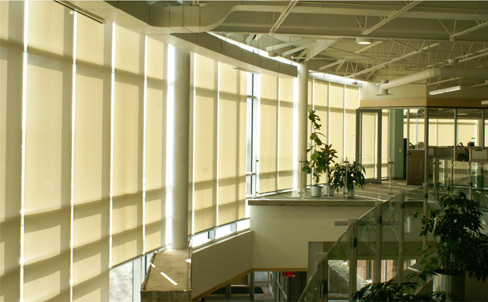 Oversize shading systems create the Shading and lighting integration to save energy costs and allow natural daylight. 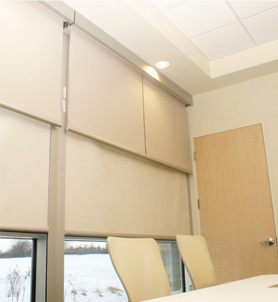 SunProject™ roller shades control heat and glare while allowing view out. 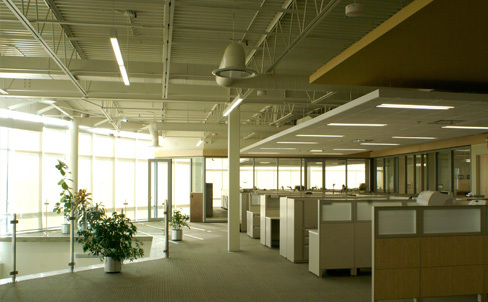 SunProject™ Shading and Lighting Integration allows natural daylight providing comfortable and productive environment for the FMRP employees.